As 800,000 federal workers head back to work and the Grand Canyon reopens for tourists, America is still reeling from the latest exhibition of congressional intransigence, even as we brace for the next episode just months away. Is intransigence the new normal? Is the failure to meet obvious needs or to act to improve the plight of Americans a new phenomenon? It’s not that new, at least in so far as government’s response to disability issues is concerned. For 15 years, United Spinal, as a member of the Taxis for All Campaign (TFAC), has struggled to make taxis accessible to people who use wheelchairs. 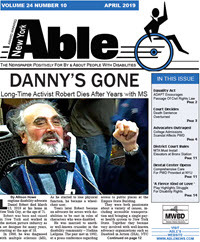 500 million Access-a-Ride dollars and 200 million Medicaid ambulette dollars spent just in the five boroughs could be substantially reduced, while the ability to travel spontaneously substantially enhanced, but NYC government has not responded well, bottling up City Council legislation, largely ignoring a state law requiring accessible taxis and liveries and selecting an inaccessible Taxi of Tomorrow to ensure that the inaccessibility of today is perpetuated. Eight years ago, United Spinal and HIP, the independent living organization in North Jersey, made the Port Authority of NY-NJ aware that they had illegally constructed a new inaccessible entrance to the Grove Street PATH station in Jersey City. The ADA requires new entrances to be accessible, but the agency forced us to sue them by refusing to provide access. After we won, the agency appealed rather than make the station accessible and now we are negotiating a settlement, with court oversight. The Obama Administration is aware of the disability community’s dissatisfaction with Medicare’s “in the home” rule, which restricts wheelchairs to chairs for home use only – i.e., sturdier and motorized equipment for use in the community is deemed medically unnecessary. The Olmstead U.S. Supreme Court decision, which requires government services to be delivered in the most integrated setting possible and the advocacy of people with disabilities, has not dramatically softened the intransigence of HHS. 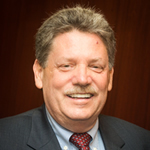 For decades, social service experts have documented that living in the community with homecare, is cheaper than living in institutions, but the institutional bias built into government social services programs, coupled with the unavailability of affordable accessible housing, ensures that the majority of long-term care dollars are spent for institutional services. Add the Metropolitan Transportation Authority (MTA) to the list. 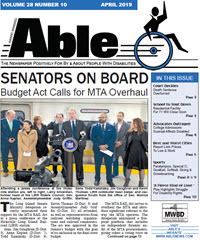 Decades ago MTA would not listen when told that meaningful paratransit would be more expensive than accessible subway stations. When the bills started coming in for paratransit, projected to be $9 million annually by Mayor Ed Koch but now about 60 times that, they still have not reduced the burden by providing more access to subways. Amtrak has been aware for 23 years that 100 percent of their stations have to be ADA compliant. Only 20 percent are. Experts tell Congress money is needed for workplace supports to keep people working who would otherwise retire because of their disabilities. Nevertheless, since the standard for collecting Social Security Disability is “too disabled to work,” and no action to provide workplace supports has been taken, people who could work are at home collecting benefits. Intransigence regarding budget and debt ceiling issues might be the new normal for America, but refusal to change in response to compelling social issues relating to disability is an old story. The old intransigence that has been our “normal” remains our most significant obstacle.